Don’t wait until the last minute to get your holiday gifts – score some sweet savings at TVA’s annual Holiday Sale and Open House. This is your chance to grab some great vegetarian cookbooks for yourself or the loved ones in your life. We’ll also be giving away FREE back issues of Vegetarian Times that are great for stocking stuffers! 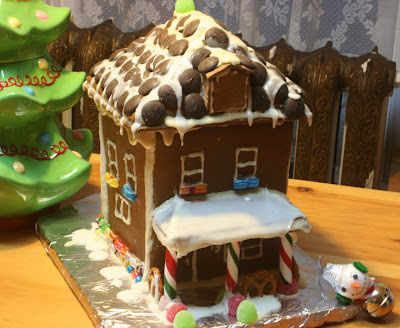 This year, we’re holding the first ever Toronto Vegetarian Association Vegan Gingerbread House contest. You can enter with your most creative, elaborate and compassionate gingerbread scene, or come by to see the creations and vote for your favourite. The winner will receive a decadent jar of cookies and a gift certificate from the lovemuffin bakery. When? Saturday, December 15th. Sale and open house runs from 1 to 4 pm. Gingerbread viewing and voting from 1 to 2:30 pm. Where? Sale and open house at the TVA Resource Centre (17 Baldwin Street, 2nd floor). We regret that our resource centre is not accessible. Gingerbread viewing and voting inside Vegetarian Haven (17 Baldwin Street, first floor, and wheelchair accessible). Want to enter the contest? Please email Barbi at blazarus@veg.ca to register your entry. Due to space limitations, we can accept a maxiumum of 10 entries. Registration required by Friday, December 7th. When registering, please let us know if you would like your entry to be for display purposes only, or if you would like it to be chopped up and served to guests once voting is complete. Posted November 1, 2012 by TVA. Filed under News, News from the Toronto Vegetarian Association.